Eucalyptus down on Mt. Hamilton Road, first mile of climb. As I expected, Mt. 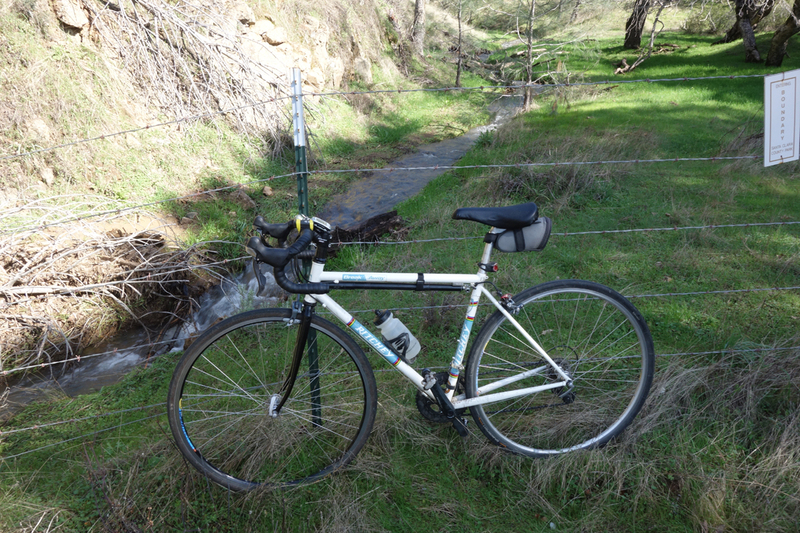 Hamilton Road has made it through the recent wet weather with only minor rock falls and a bit of mud here and there. It’s not worth mentioning the areas with so little rock sliding. I saw road crews out in force today, so they’ll have the debris scraped up by now. 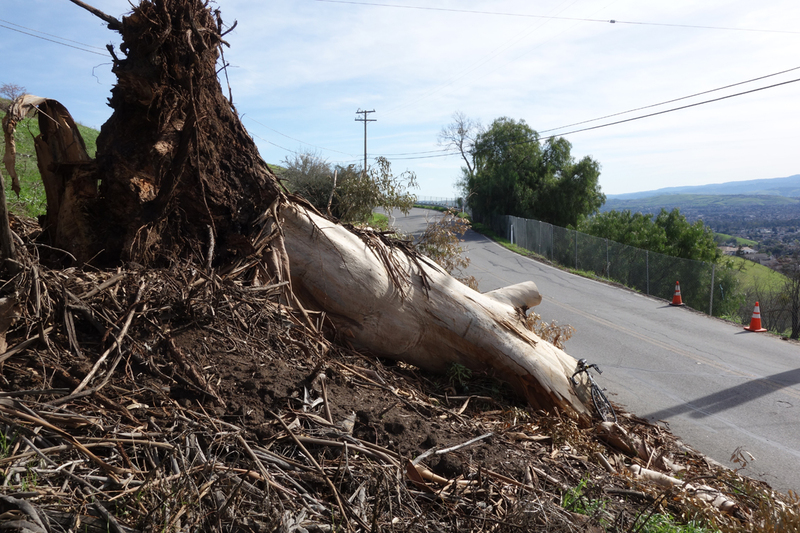 I’m glad I wasn’t riding up the lower climb when a giant eucalyptus fell across the road. It looks like the tree was already dead or dying. I remember it from my many climbs up Mt. Hamilton. I can do without the eucalyptus. It has enough negative characteristics that I wish it had never been imported from Australia. If you’re curious about the fascinating history of how it came to California, I found a story in the Santa Barbara Independent. Yes, the main promoter of the tree lived in Santa Barbara. Mt. Hamilton sees a lot less rain than the Santa Cruz Mountains, which have been hammered. The roads may be worse off than the dreadful winter of ’82-’83. This creek about a mile up from Smith Creek is usually dry. This entry was posted on February 12, 2017 at 4:13 pm and is filed under Ride reports. You can follow any responses to this entry through the RSS 2.0 feed. You can leave a response, or trackback from your own site.